Shakespeare is said to have wri t ten this comedy at the direct request of Queen Elisabeth, who wished to see the stout knight Falstaff, a minor character from Henry IV and Henry V, cast in the comical role of a befooled Don Juan. In a comedy that weaves together several storylines, Sir John Falstaff rose from being minor to main character. This is cer tainly no ordinary career in the history of theatre. The lovable adventurer and tavern idler, who has lost favour with the King, comes up with an incredible plan – to cour t two honest townswomen of Windsor, Mistress Ford and Mistress Page, at the same time, in order to seize the money of their fairly wealthy husbands. Besides overestimating his looks and underestimating his age, the vain Falstaff faces another slight problem – his plans are quickly discovered by both women, and even their husbands. The ladies want rightly to take revenge on Falstaff, and so – for appearance’s sake – both accept his offer. 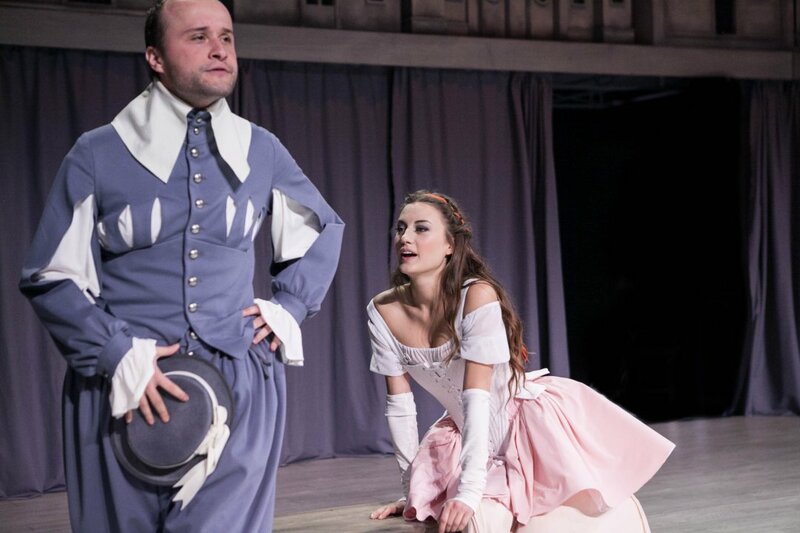 The womanising Falstaff falls into their trap over and over again, but in the last moment manages to escape the clutches of the jealous husband, who always only makes a fool of himself. 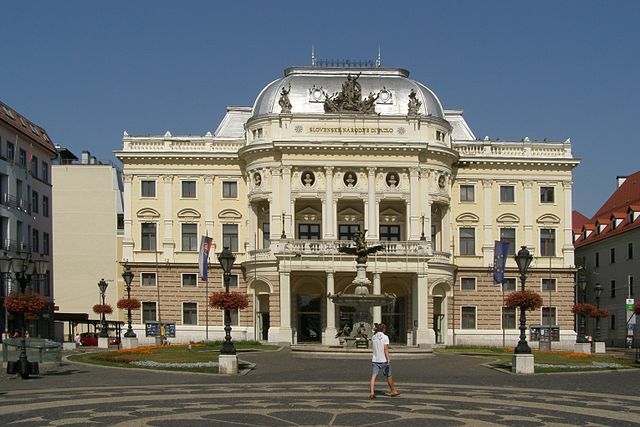 The Historical Building of the Slovak National Theatre stands on the site of the former city theatre. Commissioned by the Count Juraj Csáky, it stood here as early as in 1776. The current building was built to the design by the architects Ferdinand Fellner and Hermann Helmer, opened in 1886. The building in eclectic style is one of many theatre buildings designed by the eminent team of the Vienna-based architects, which dot a number of European cities, including Sofia (Bulgarian), Budapest (Hungary, Karlovy Vary and Brno (Czech Republic), Zürich (Switzerland) or Berlin in Germany (Theater unter den Linden). 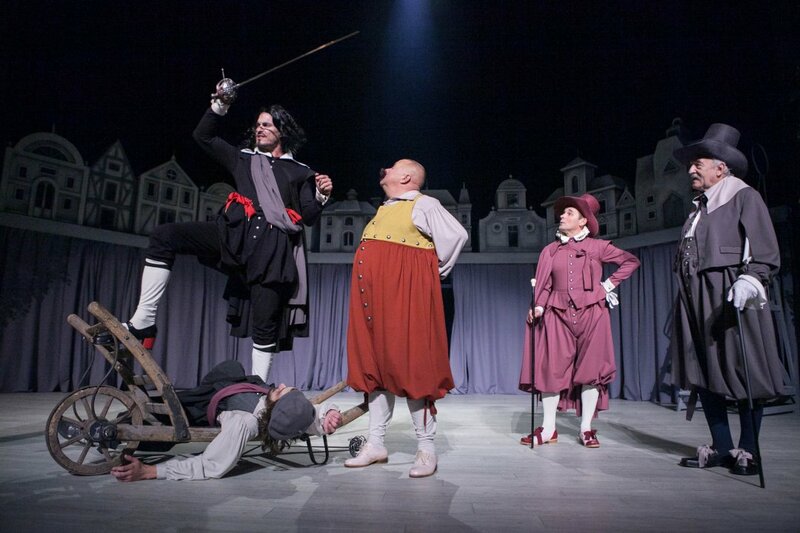 The City Theatre Bratislava first staged the stagione theatre performances by German and Hungarian companies. From 1920 it houses The Slovak National Theatre. Until the 1950s it was home to drama, opera and ballet performances. It wasn’t until the opening of the permanent stage for the SND Drama Company that the SND Historic Building became exclusively dedicated to the SND Opera and Ballet. The listed building, given by the nature of its heritage protection, had to retain its original façade, the interior of the auditorium, the entrance lobby and the salon on the 1st floor. Nonetheless, the auditorium underwent substantial spatial transformation. 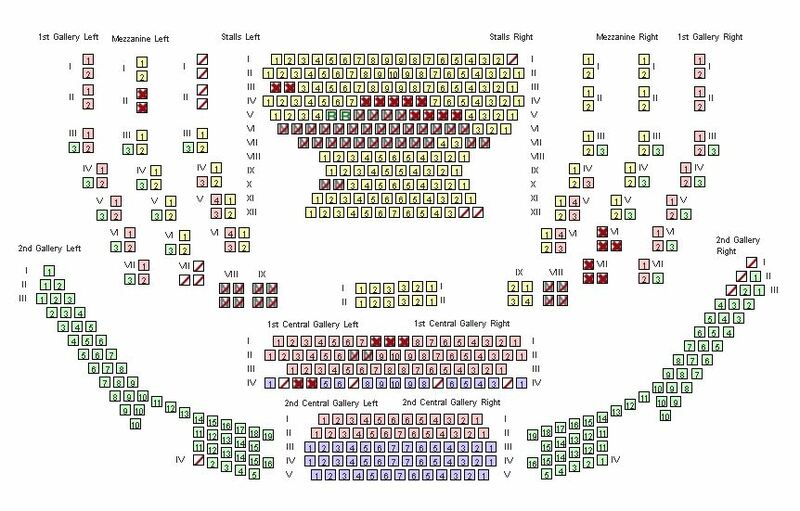 To provide members of the audience with greater comfort, the transformation also involved reduction of the number of seats. All other areas have been modernised. Central cloak room opened in the basement (beneath the auditorium), cafés on the 2nd floor and smoking rooms on the ground floor and the 3rd floor. Areas on both sides of the stage have been refurbished to serve as changing rooms for the performing artists, wardrobe warehouses, equipment rooms and tuning salons (in the basement). The contemporary annex houses offices dedicated to directors, conductors, prompters, changing rooms, rehearsal rooms and administrative offices used by the SND administration of the SND Opera and Ballet. Three underground storeys are beneath the annex and the adjacent Komenského square: the 2 floor is home to stage decorations warehouse and the 3rd floor consists of two spacious ballet rehearsal halls.